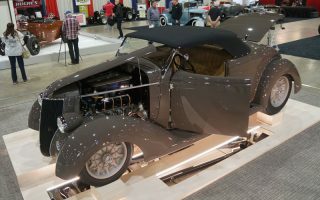 They just announced the winner of the America’s Most Beautiful Roadster Trophy here at the Grand National Roadster Show. 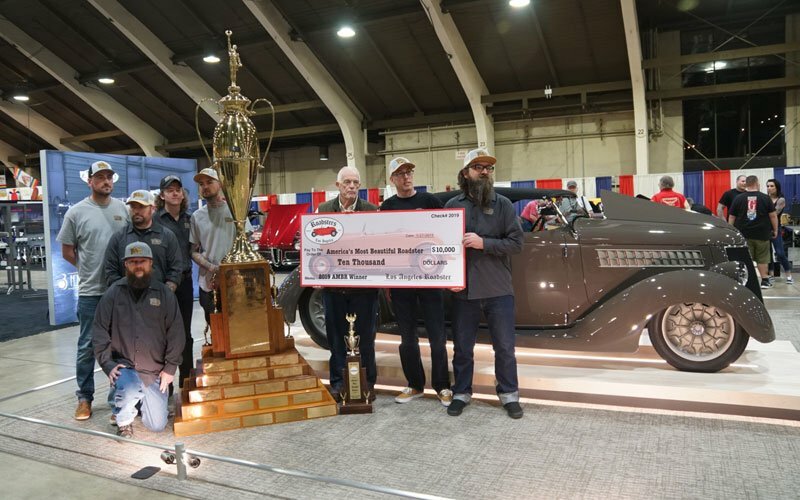 And the winner is: George Poteet’s 1936 Ford Roadster, the car they call “Three Penny.” It was built for Poteet by Pinkee’s Rod Shop. 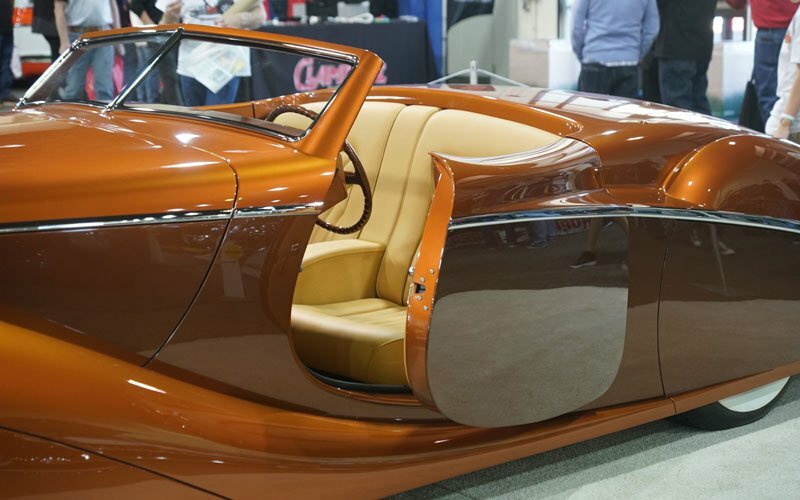 The custom fabrication and paint are perfect. 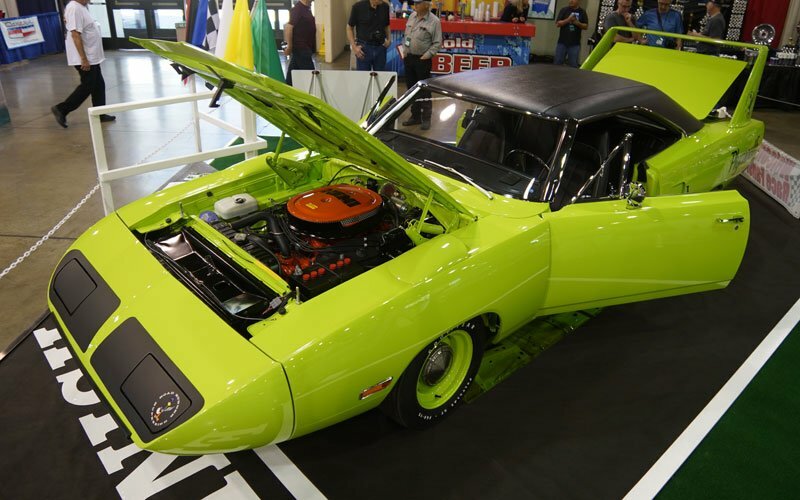 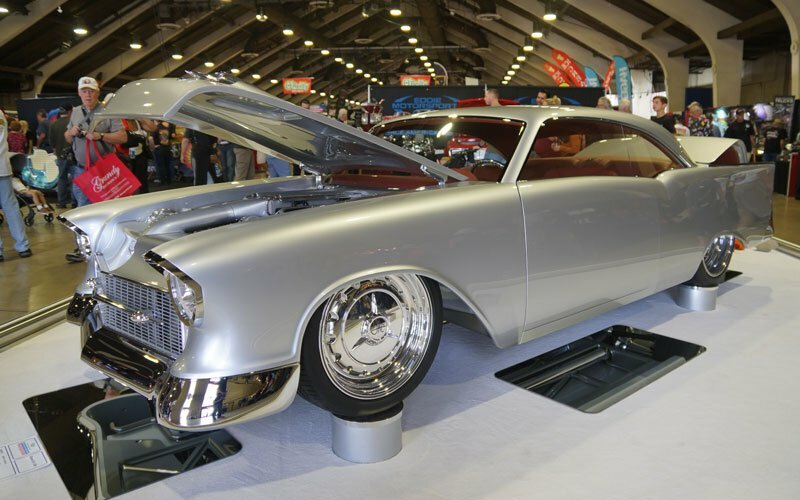 It was one of the front runners here at the Pomona Fairplex and was chosen from a group of fourteen top show cars contending for the award. 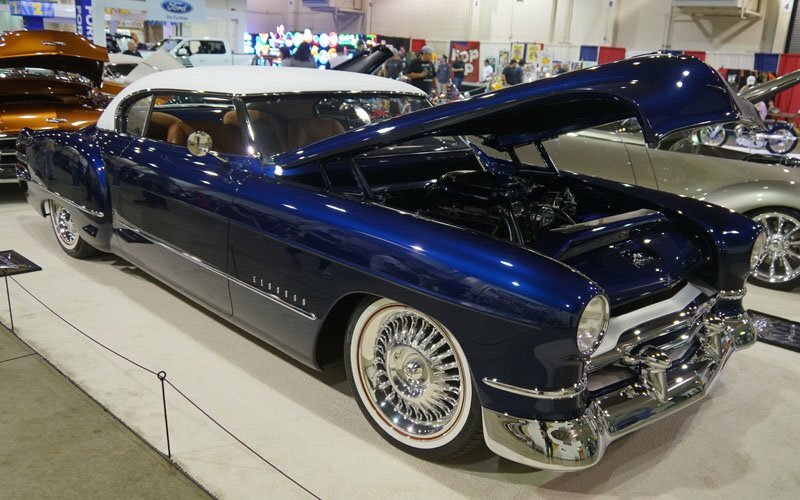 It’s the final day of the 70th Annual Grand National Roadster Show here in Pomona, California. 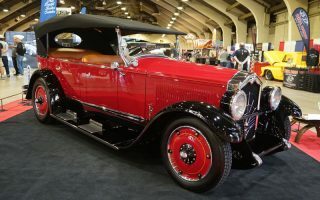 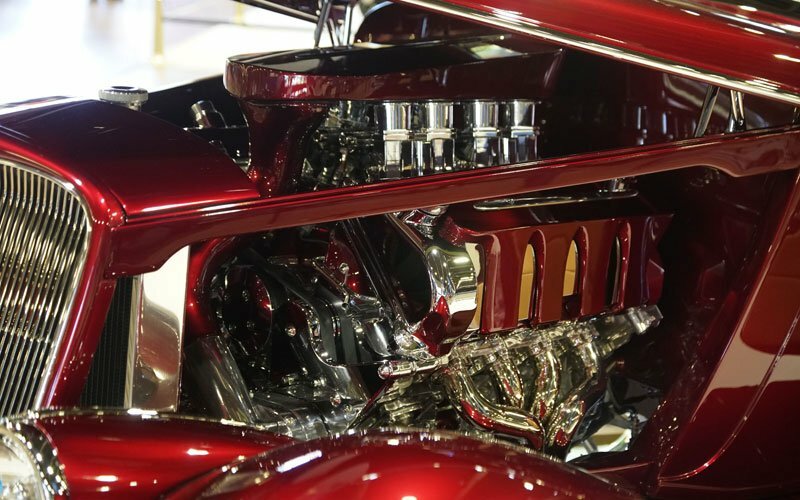 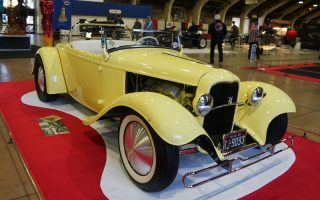 With seven auditoriums full of classic and custom cars at the Pomona Fairplex, there are themed displays in every building and over 800 cars on display on the fairgrounds outside. 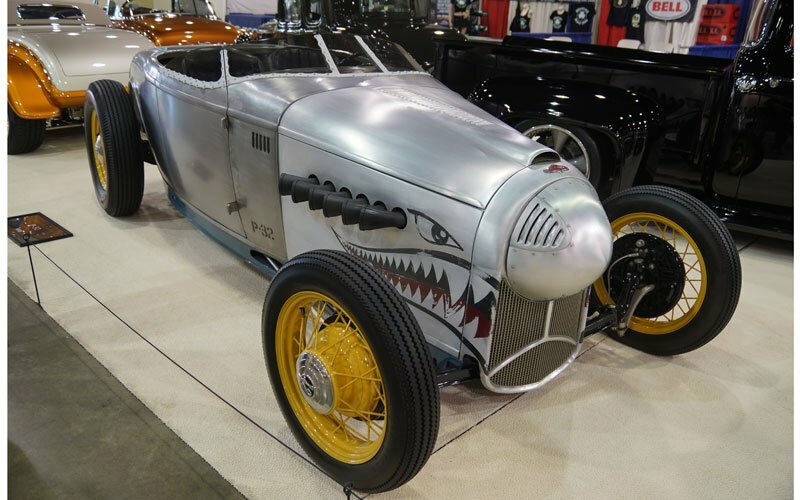 But here at the awards ceremony on Sunday afternoon everyone was wondering who would win the coveted America’s Most Beautiful Roadster Trophy. 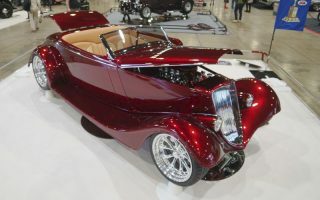 For more on the 1936 Ford Roadster “Three Penny” follow this link to the AMBR page. We found the fourteen cars competing for the America’s Most Beautiful Roadster Trophy. 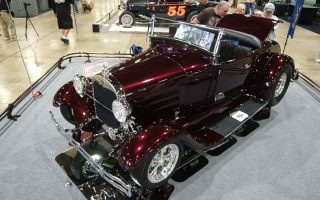 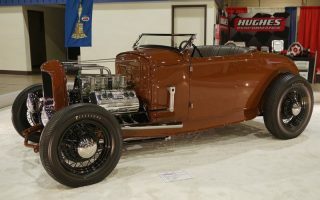 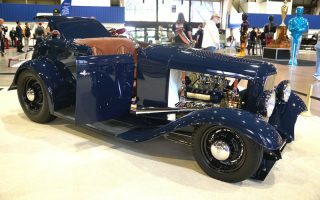 Every year the AMBR, one of the most important awards in the custom car hobby, is presented to the owner of the best roadster here at the Grand National Roadster Show. 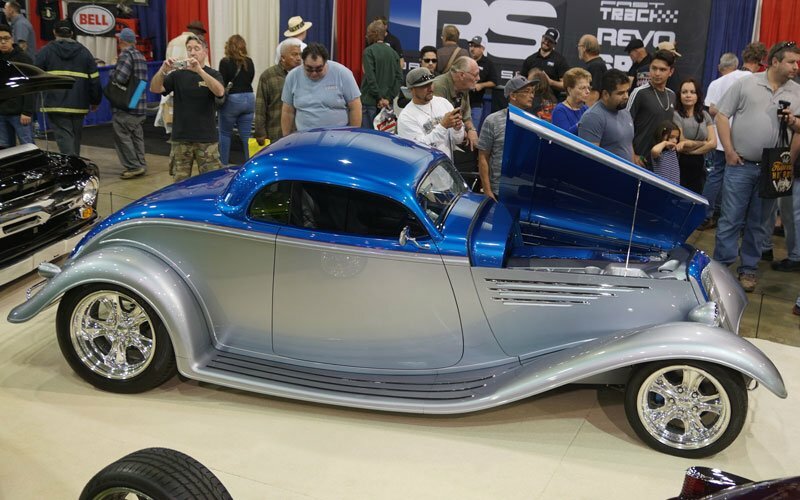 The best builders in the country are represented here, and to be shown at the GNRS can establish your name brand in the industry. 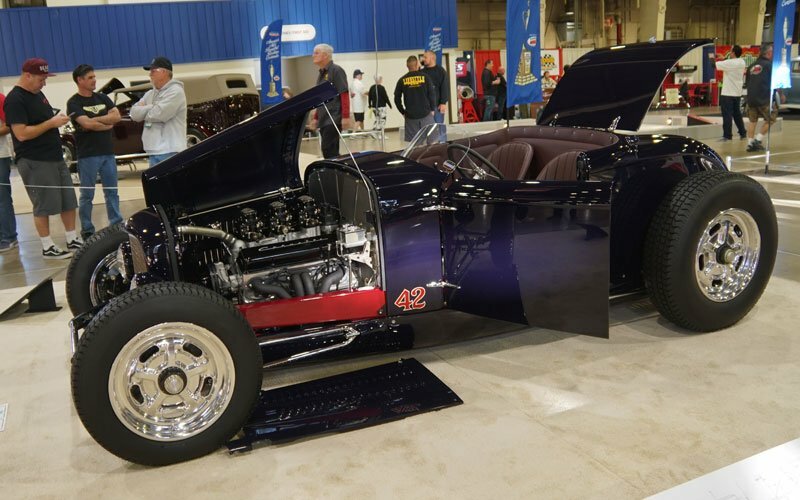 Here are the top roadsters which were in contention for the AMBR this weekend. 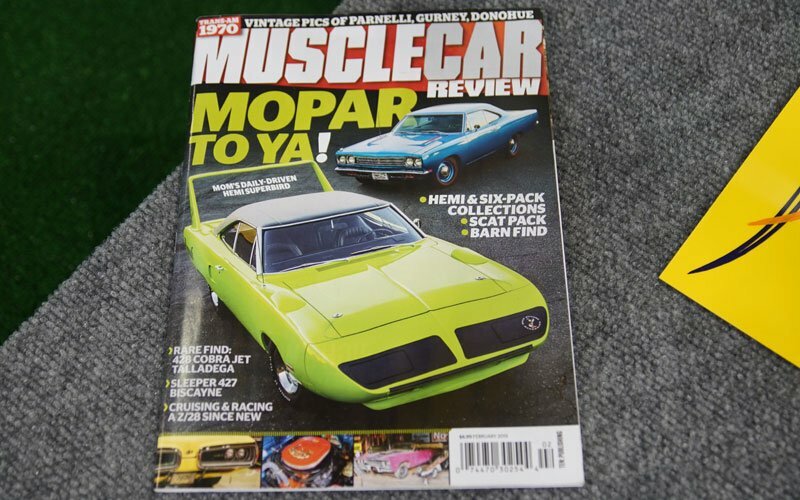 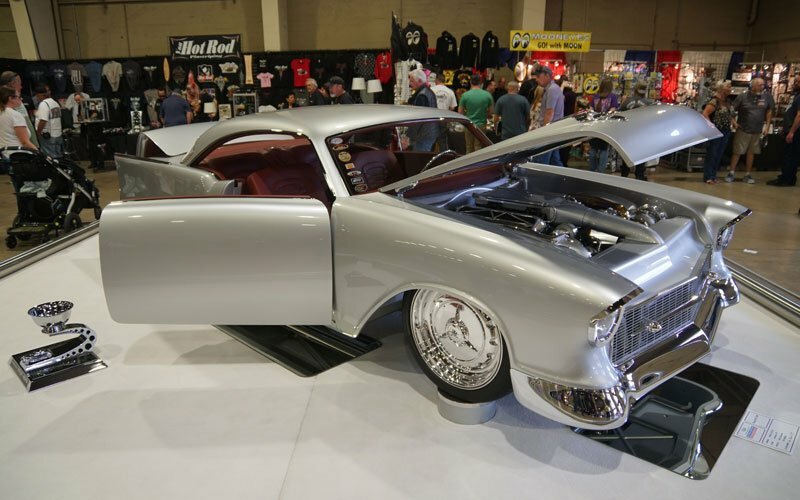 (Click the link at the bottom of each car to view more photos on the AMBR info page. 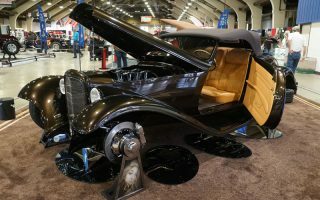 Cars-On-Line.com was here exploring the incredible number of custom car displays in the seven auditoriums on the Pomona Fairplex grounds as we bring our readers up close and personal with the cars here at the 70th Annual Grand National Roadster Show, the longest running car show in America. 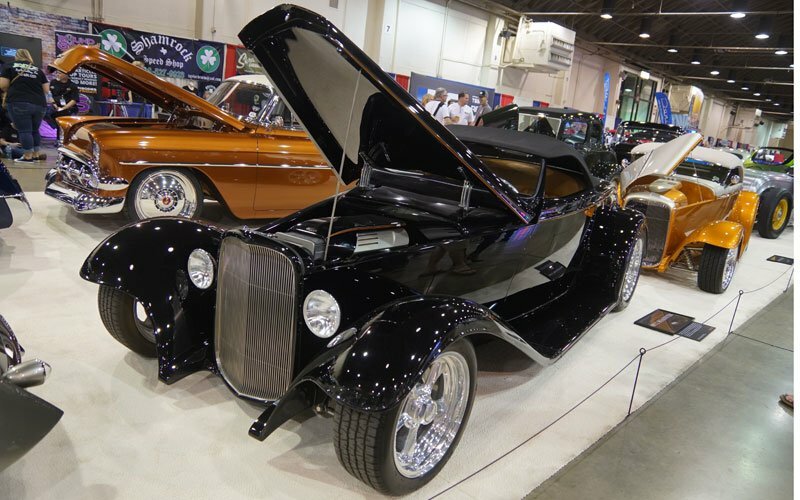 Follow our Twitter posts to get the most recent updates. 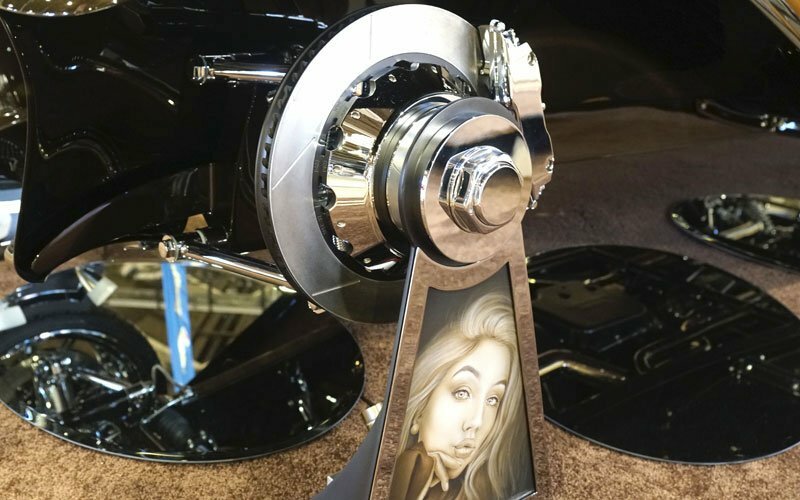 In addition to the AMBR competition, there were top awards presented to some of the most important custom builds of our time. 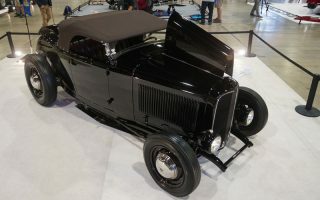 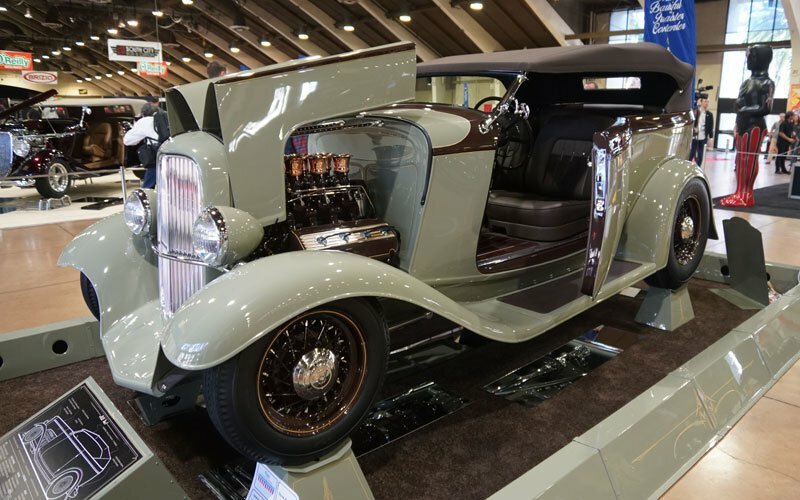 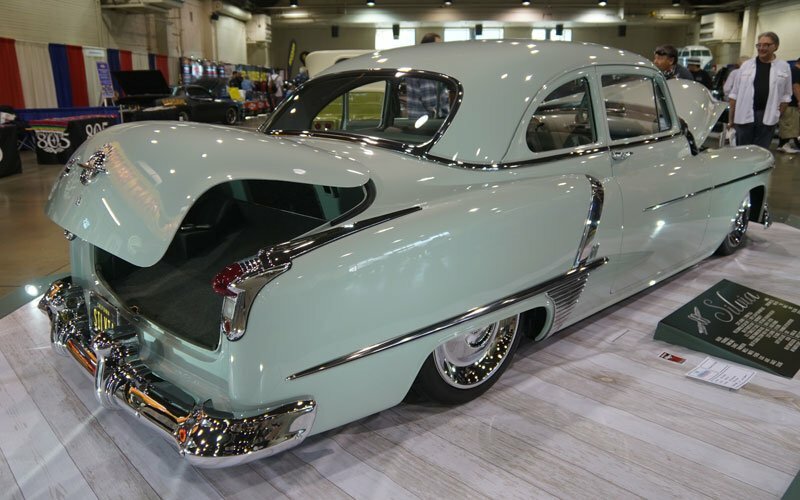 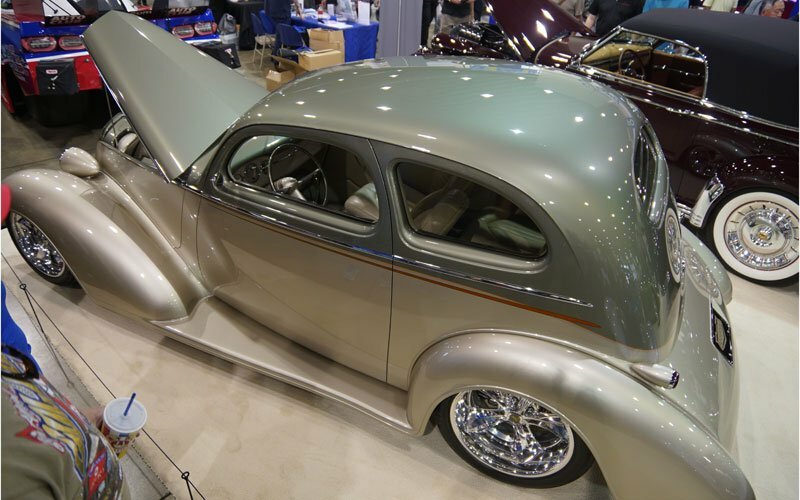 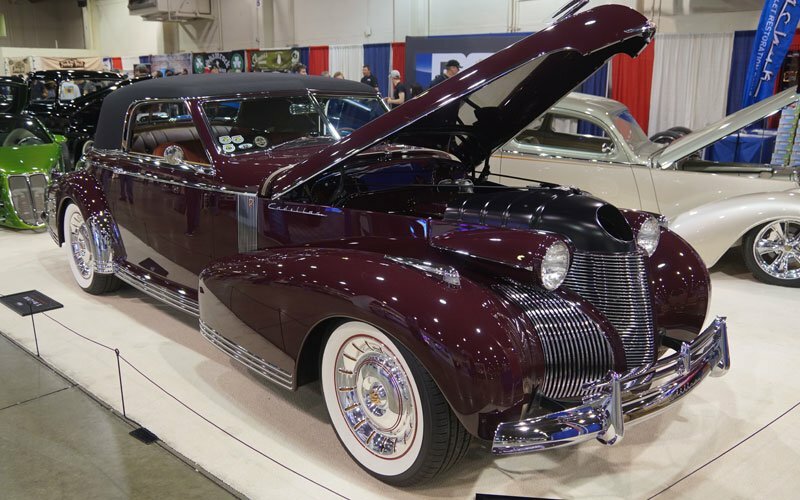 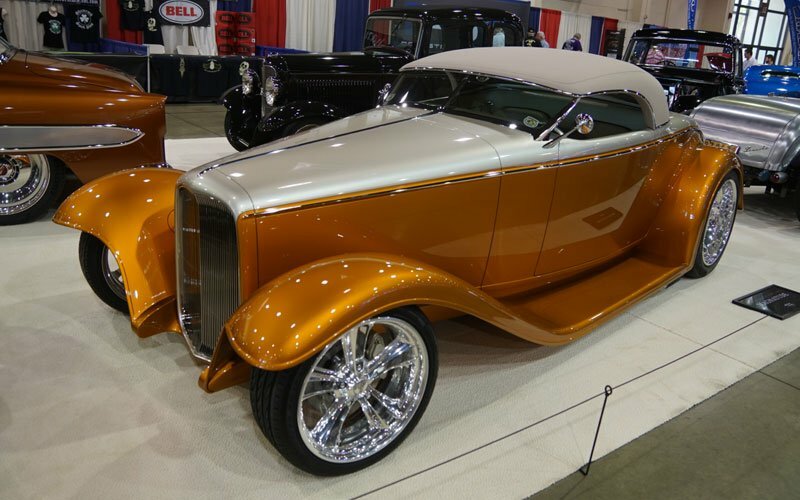 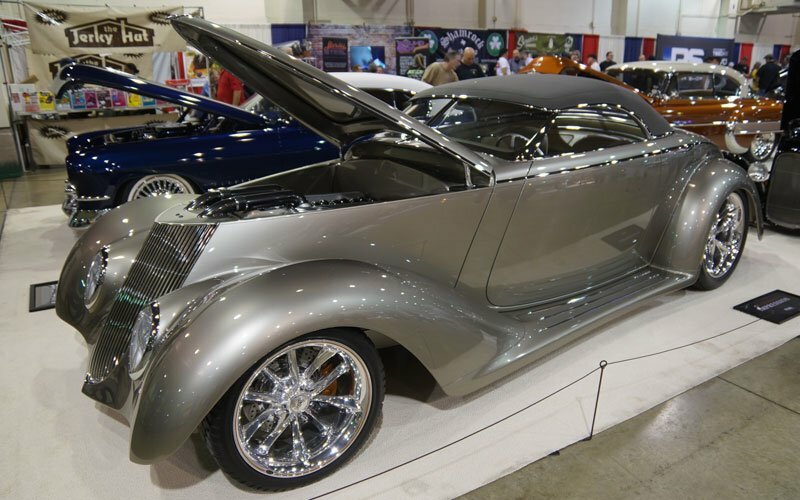 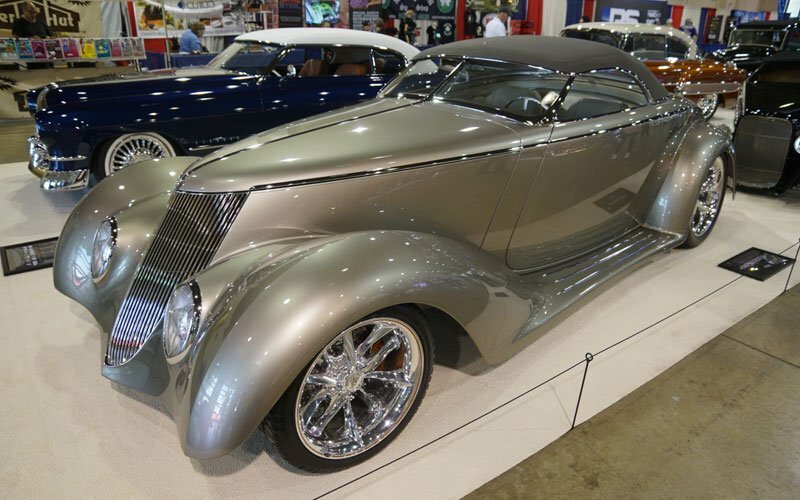 Here are some of the top cars we saw here at the Grand National Roadster Show. 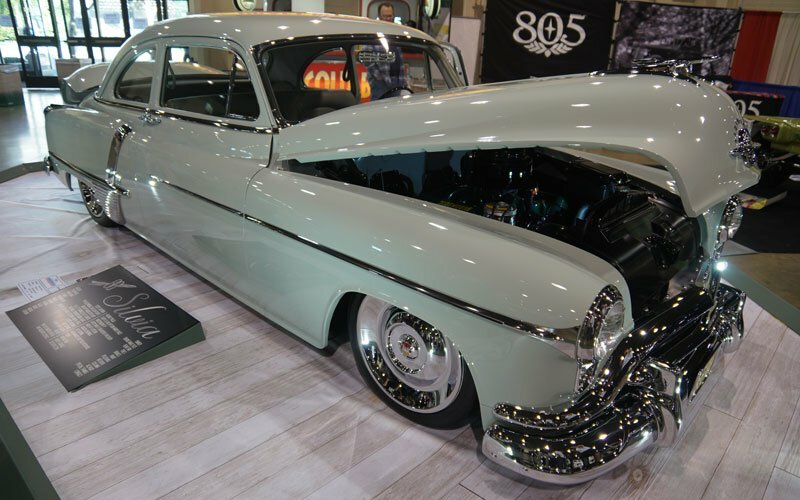 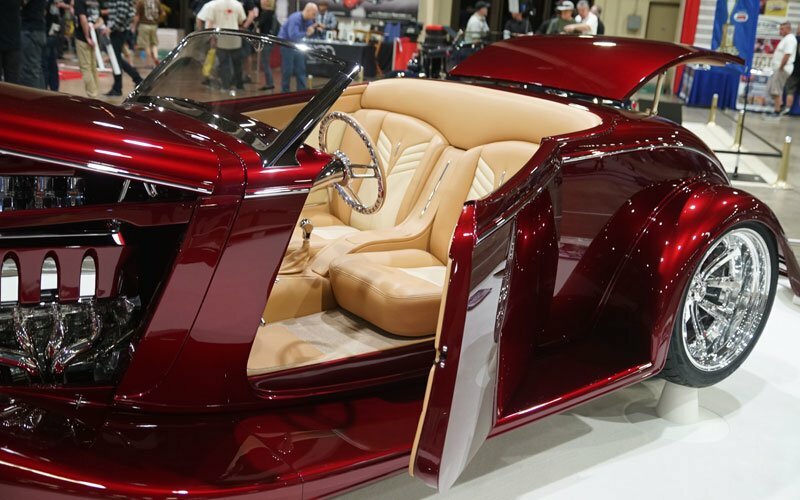 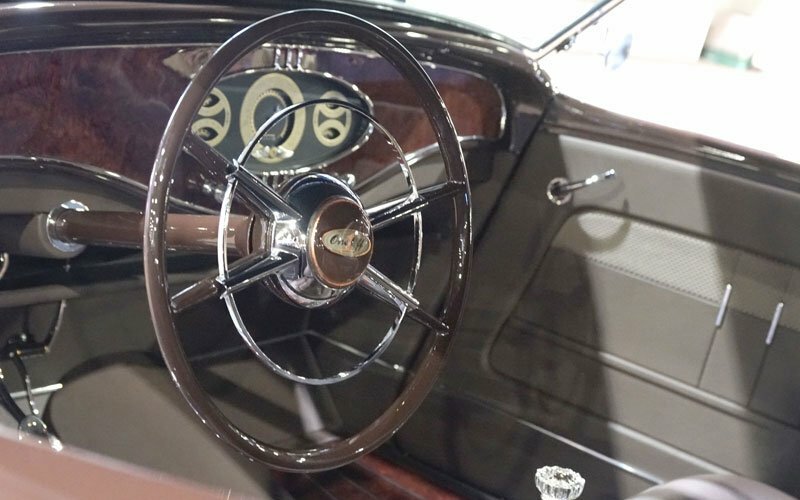 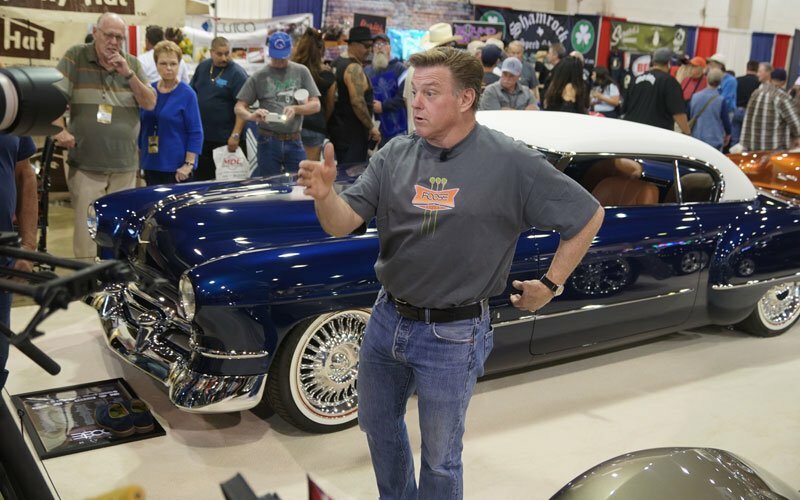 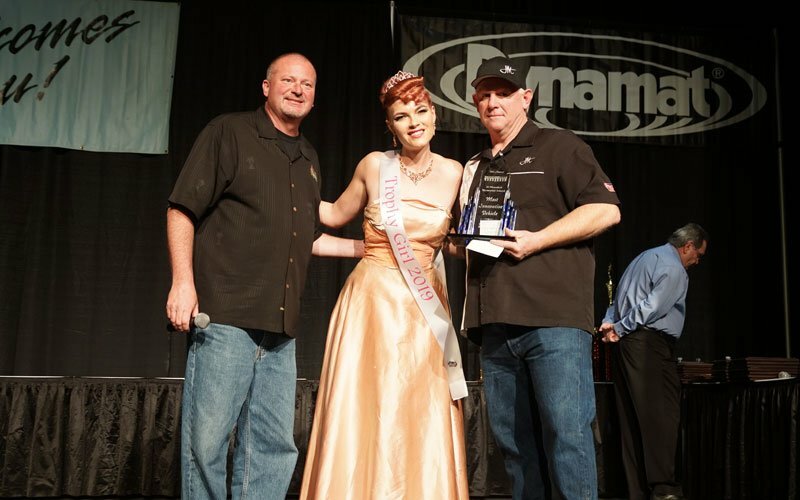 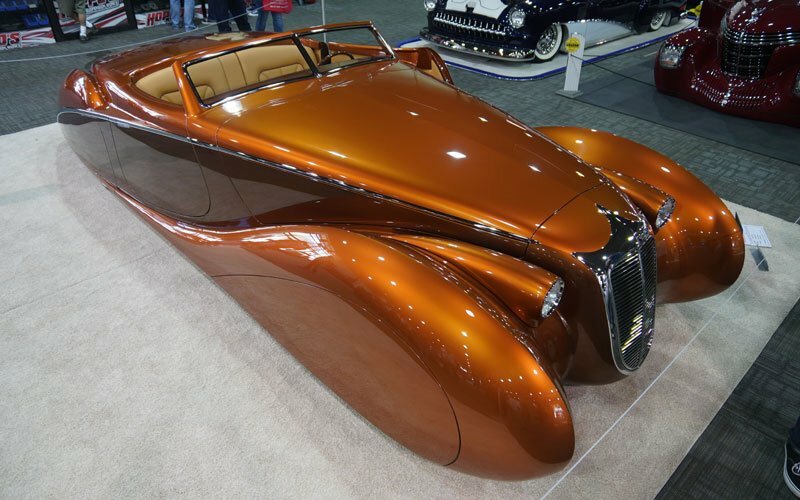 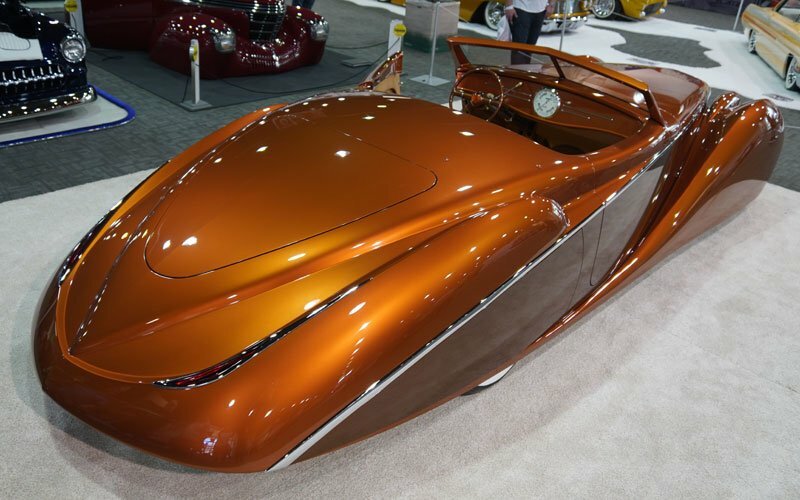 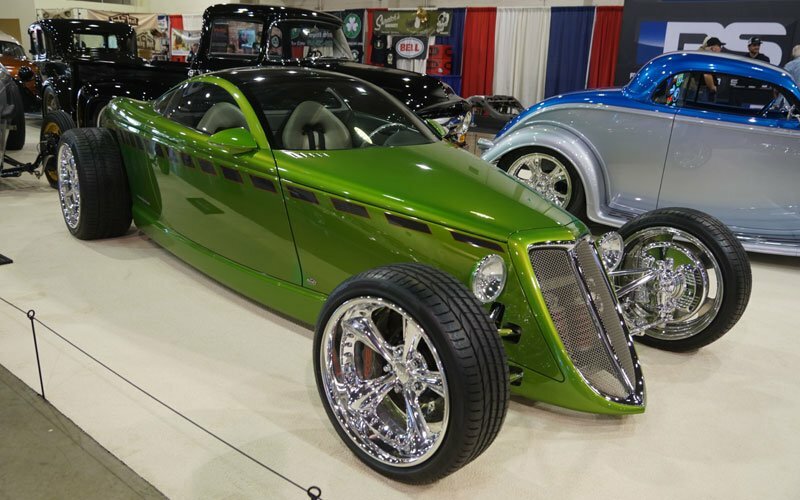 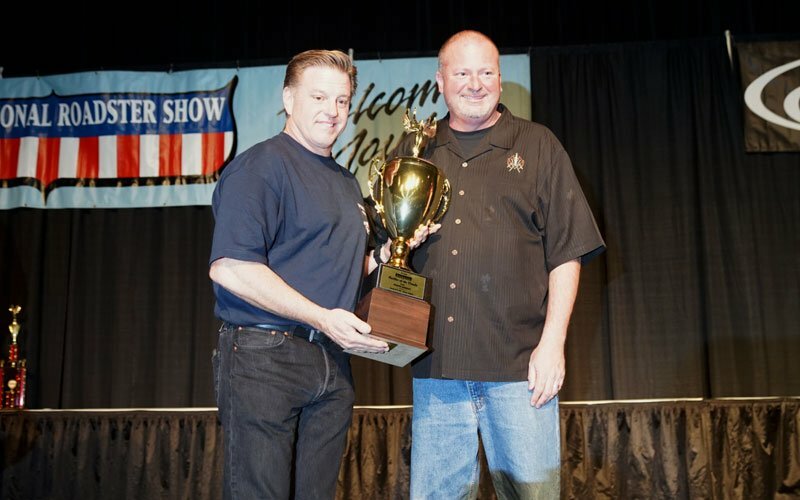 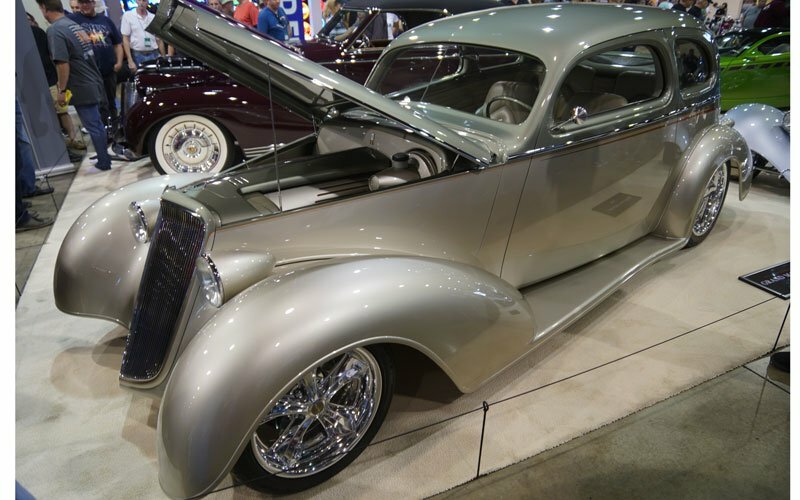 Also on Sunday, automotive designer and TV celebrity Chip Foose received the “Builder of the Decade” award from the Grand National Roadster Show. 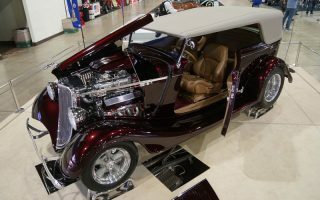 He was honored for his contributions to the custom car hobby. 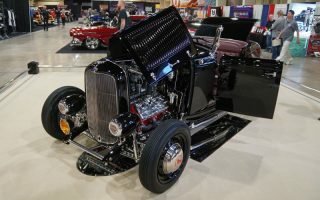 We captured photos of some of his signature builds in a special display here at the show. 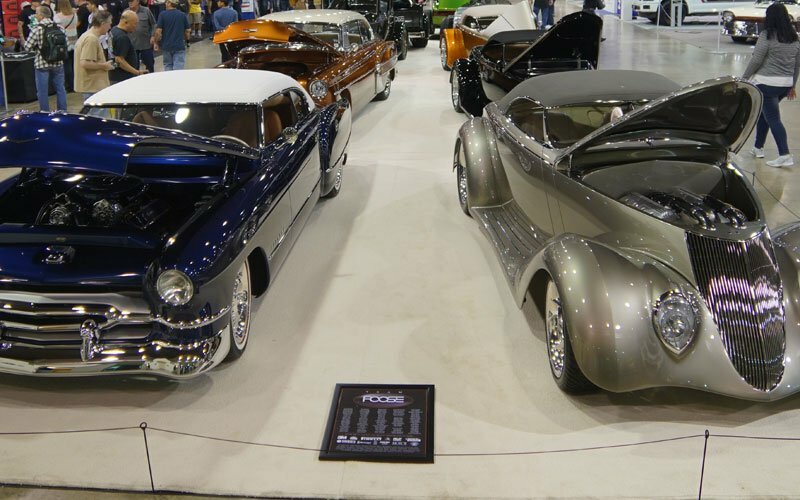 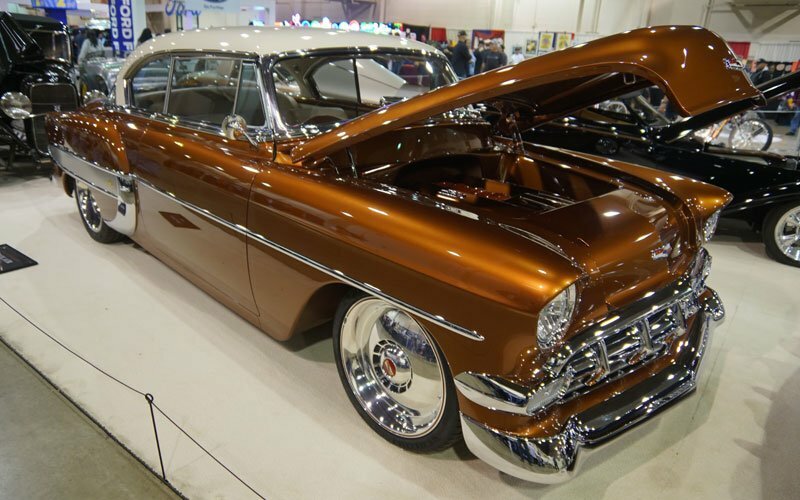 Special Display of Chip Foose builds and designs. 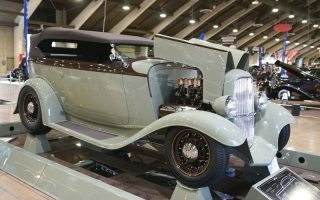 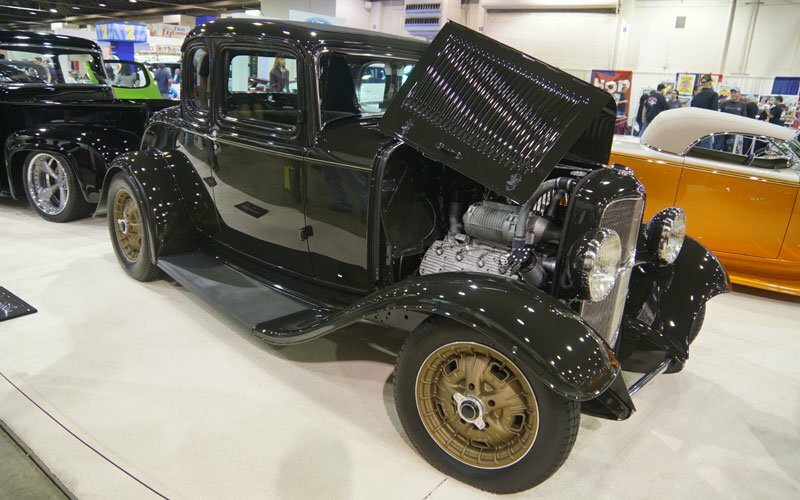 They will also celebrate 90 years of the Ford Model A with 100 examples (both classic and custom) expected in the display. 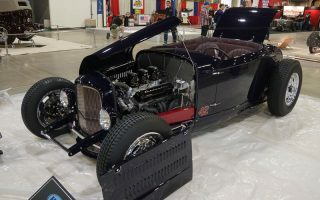 The GNRS promises cars to be displayed by custom legends such as Troy Trepanier, Bobby Alloway and Roy Brizio. 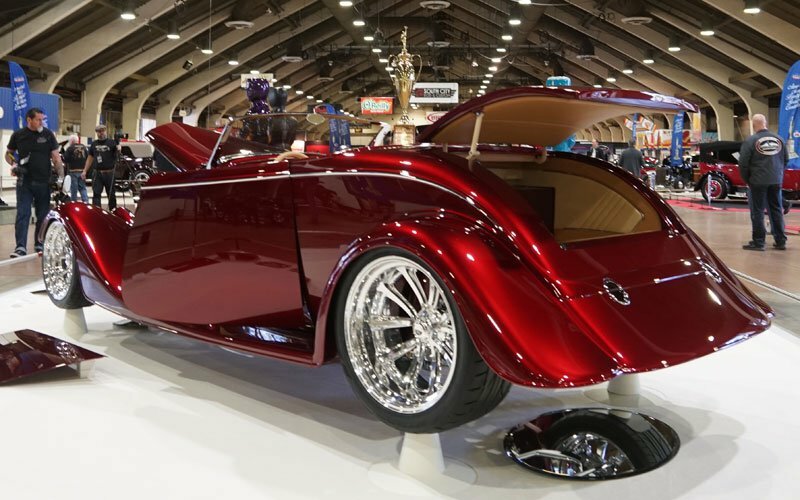 About 600 custom show cars will be on display here in seven exhibition buildings at the Pomona Fairplex. 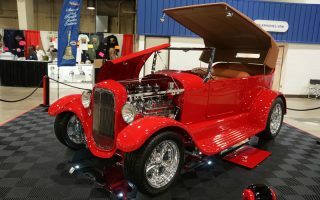 In addition, on Saturday and Sunday, a car show was held outside on the grounds with another 800 local cars on display.